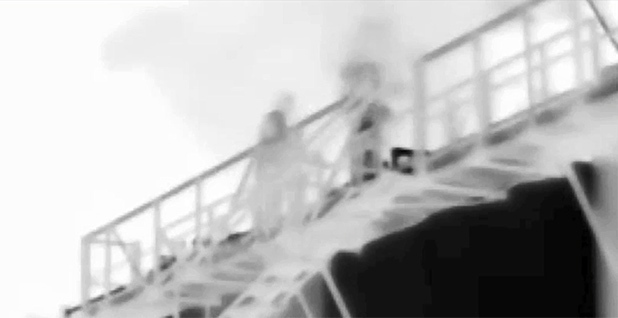 Infrared images show volatile gases releasing from an oil tank next to a worker. Click here to see an infrared video from the National Institute for Occupational Safety and Health of workers being exposed to the toxic gases. Photo courtesy of the Occupational Safety and Health Administration. Article updated Sept. 15 at 12:02 p.m. EDT. When Joe Morales found him, Jim Freemyer was standing over the hatch, dazed and miming the gestures of measuring the crude oil tank with nothing in his hands. Later, Freemyer wouldn't even remember Morales guiding him off the catwalk. All he recalled was smelling something like gasoline and getting dizzy. After that, Freemyer, a truck driver from nearby Evans, Colo., demanded a mask to protect him from the fumes. But it didn't. He was wearing the mask three weeks later, when another co-worker found him face down over a different hatch. This time, he was dead. Vapors from the crude oil killed him, according to authorities in Weld County, Colo., where Freemyer died in July 2014. The coroner said the 59-year-old suffered "sudden cardiac death" when his already weakened heart was overwhelmed by inhalation of toxic gases and lack of oxygen. Freemyer is one of at least nine oil workers to have died this way since 2010, according to the National Institute for Occupational Safety and Health (NIOSH) (EnergyWire, April 13). The deaths occurred from Texas to North Dakota. Three were in Colorado, including the deaths of Freemyer and a driver from the same company, Now or Never Trucking. The danger of vapors from storage tanks has been poorly understood in the oil field, even flatly denied at times. But documents from the litigation that followed Freemyer's death map out in chilling detail just how toxic gases from oil field storage tanks can kill people. All crude oil has toxic compounds called volatile hydrocarbons, such as benzene, butane and propane. Shale oil, such as that from Colorado's Niobrara formation, has more than conventional crude. It's related to why trains loaded with shale crude explode when they derail. Lighter than the rest of the oil, the vapors bubble up in storage tanks and collect above the liquid. They can burst out of the tank with enough force to knock off a worker's hard hat. And at high concentrations, the hydrocarbons can displace so much oxygen that they asphyxiate victims, even outdoors. At the same time, the chemicals get in the blood and disrupt the heart. In a cruel twist, they disorient the brain so victims often don't try to escape the fumes. Earlier this year, NIOSH, the Occupational Safety and Health Administration (OSHA) and an industry safety group issued an alert warning of the dangers posed by crude oil vapors (EnergyWire, April 27). In some of the other cases identified by NIOSH, authorities missed key details. The workers' deaths were written off as heart problems. Employers hinted that the men were intentionally inhaling oil fumes to get "high." Supervisors and medical officials dismissed the idea that oil fumes could kill anybody (EnergyWire, Oct. 27, 2014). But by the time Freemyer died, federal worker safety officials had identified deaths from tank fumes as an alarming trend in the oil field. Freemyer's death became possibly the best-investigated example of that trend. 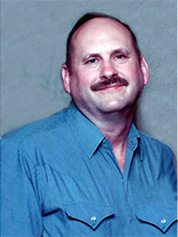 Freemyer was a long-haul trucker who had recently found work closer to home in the oil field. He'd been driving trucks on overnight runs for several years when a family member told him about the money to be made working in Colorado's booming Niobrara Shale. Jim Freemyer. Photo courtesy of the Freemyer family. He got hired in May 2014 by Now or Never Trucking for a job that paid $1,007 a week. Beyond the money, the hours were better. "He could be home on weekends, and it wasn't a night job," said his son, Mike Freemyer. Freemyer and his wife, Connie, had settled in Weld County, a sprawling patch of high plains that stretches northeast from the Denver suburbs to the Wyoming line. Weld is the heart of the Niobrara Shale boom. You can see the Rockies from the eastern edge of the county, but it looks more like Kansas -- flat and full of cows. Increasingly, in the past few years, the cows have been joined in the fields by the bobbing heads of pumpjacks, where deep holes were fracked to jar loose oil. Freemyer was preparing to haul a load of oil from a Weld County well site on the outskirts of Denver when Morales found him in June 2014. Details of the episode, about three weeks before his death, give an unsettling look at how he and the other victims might have died. Before they can haul off their loads, oil field truck drivers sample oil in the tanks for water content and measure the volume. The methods seem remarkably low-tech in the smartphone era. They climb stairs to a catwalk and pop open the "thief hatch" to drop in glass vials and tape measures. Drivers are told to stand upwind, away from the fumes, when opening tanks. But in the rush to get the job done, sometimes the advice gets forgotten. And sometimes there's no wind. Morales, who also drove a truck for Now or Never, testified in May that the wind wasn't blowing the day he found Freemyer. "You could see the fumes hitting directly in his face," Morales said. Freemyer's nose was running profusely, and his gas monitor was beeping. He was leaning over the hatch, moving his hands, as if to reel in his gauge. But his hands were empty. When Freemyer emerged from his daze, Lee Mulkey, Now or Never's operations manager, came and took him to the hospital. He was released and cleared to work the next day. Mulkey said he figured Freemyer, a diabetic, was having blood-sugar problems because he hadn't eaten. But Mulkey already had experience with deaths atop tanks. He'd been on-site in March 2014 when OSHA came to investigate the death of another Now or Never employee, Joe Ray Sherman, also found dead on a catwalk at a well site in the same county. Workers told the OSHA inspector looking into Sherman's death that "they have been known to get light-headed or dizzy from the vapors coming out of the sample tanks," according to the inspection report. But the coroner deemed Sherman's death to be natural. OSHA cited the company for using headlamps that could ignite the vapors around the tanks, but not for respiratory hazards. On the day before Morales found Freemyer dazed on the catwalk, John McNulty, 57, who drove a truck for another company, was found dead on a catwalk at a well site near Gill, Colo. The Weld County coroner also classified McNulty's death as natural. But NIOSH includes the circumstances of McNulty and Sherman's deaths in its list of workers felled by fumes. And Sherman's family has hired an attorney to investigate the circumstances of his death. After Sherman's death on the catwalk, Now or Never upgraded its employees' monitors to detect methane and gas in addition to hydrogen sulfide. But Mulkey was dismissive when Freemyer said he wanted a mask to wear when gauging tanks. Mulkey took Freemyer to a safety equipment store in Greeley to get one, but told him the expense was coming out of his next paycheck. He told Freemyer "he could not stop him from wearing a mask," according to the coroner's investigation, and noted that OSHA and the company didn't require it. "They told him he didn't need a respirator. They said, 'just stay upwind,'" said Brett Busch, attorney for the Freemyers. "My client was scared." Sunday, July 13, 2014, was a warm, dry day in Weld County. Stan Linker pulled his rig up to PDC Energy Inc.'s Gaddis pad outside Johnstown shortly after 1 p.m. After doing some paperwork, he climbed the catwalk and saw another driver at the other end. It was Jim Freemyer. He was leaning over the hatch, with his face partially in the tank. Linker felt for a pulse and couldn't find one. He put Freemyer on his back, noticing large amounts of mucus inside the mask Freemyer was wearing. In vain, he tried CPR. According to the coroner's investigative report, Freemyer's gas monitor showed that each time he stopped at a well site on the day of his death, his breathing was hindered by the air he was taking in. It had as little as a third the normal amount of oxygen. A normal oxygen level is 21 percent. But the monitor showed it dipped below 7 percent at one point. An atmosphere that scarce with oxygen can render you unconscious in half a minute -- probably faster on the high plains 5,000 feet above sea level where Freemyer died. The oxygen in the air was replaced with an explosive mix of airborne petroleum vapors. The methane alarm on his gas monitor went off constantly that day, records show. He turned it off, perhaps given a false sense of security by his new mask. But the mask was the wrong kind, worker safety experts said. It filtered the air, but it didn't supply oxygen. Instructions said it was not for use in low-oxygen environments, which is exactly what Freemyer was working in. It didn't help that Freemyer had hypertension, coronary artery disease and diabetes. But he didn't suffer a heart attack that day, or a diabetic episode. Medical experts said he likely wouldn't have died outside the toxic atmosphere on the catwalk. Jeffrey Rubinstein, a Denver cardiologist, testified when the case went to court that there was no other reason for him to have died that day. "I kind of see this case as a patient goes to autopsy, and he has two blocked arteries like this fellow does, but he has a bullet in his brain," Rubinstein said. "When we have this guy's head sitting above toxic fumes, that is the sudden bullet in his brain." OSHA hit Now or Never Trucking with a $19,600 fine for violations, including providing inadequate protection from the petroleum fumes. The amount has been negotiated down to $12,500 in a settlement, and the case is still pending. When workers are conducting sampling directly over thief hatches, they should be equipped with "supplied-air respirators" that supply an adequate amount of clean oxygen via a hose or a tank, said Michael Kosnett, a medical toxicologist with the University of Colorado School of Medicine who testified for the family. "To the extent it's being done by people without supplied air respirators, they are at a significant risk," Kosnett said. Beyond that, Kosnett thinks the industry really needs to figure out a way to sample and measure the tanks without people standing over tank hatches. But in the meantime, they need respirators that supply clean air. But Now or Never managers disagree. They say respirators are not needed. Instead, the company has an air-testing program. "We will not put in a respirator program, because we don't need them," Mulkey testified in May. Now or Never's workers' compensation provider, Pinnacol Assurance, said that it doesn't recommend the use of respirators as a standard practice in the oil field. Company spokeswoman Edie Sonn said OSHA and NIOSH do not require respirators at well sites. "It is very complex to manage a respirator program. It requires physician clearance and hygiene protocols, as well as proper storage of the respirators," Sonn said. "However, there are circumstances that dictate the need after consideration of a job hazard analysis and appropriate testing." Now or Never and Pinnacol denied Connie Freemyer's claim for benefits. They cited her husband's existing health problems, alleged that he didn't follow procedures for reducing pressure in the tanks and said that he should have known to get away from the tank. The denial sparked a bitter court battle. Busch said he spent $25,000 investigating and preparing the case, many times what it usually takes him to protest a denial. In July, an administrative law judge (ALJ) in Colorado brushed aside the companies' arguments and awarded workers' compensation death benefits to Connie Freemyer (EnergyWire, July 30). She'll get $671 a week, which will later decline to $530 for the rest of her life. The cost of the court fight comes out of her benefits. Administrative Law Judge Peter Cannici wrote that "Freemyer's job duties and work environment aggravated, accelerated or combined with his pre-existing coronary artery disease to cause his death." To family members such as Mike Freemyer, that's proof that his father wasn't violating safety protocols. "My dad did everything right," he said. Sonn for Pinnacol Assurance said the decision will not be appealed. "This was a very complex case," she said, noting Freemyer's health problems and the companies' concerns about safety protocols. "However, we respect the ALJ's finding." "Our priority right now is taking care of Ms. Freemyer and making sure that she receives her compensation promptly," Sonn added. The insurance company and Freemyer's attorney say they now share a goal -- ensuring that companies improve protections for workers in the oil field. Sonn said Pinnacol is working to alert its policyholders about dangers from toxic fumes while tank gauging, sharing materials from NIOSH, and having the company's internal oil and gas expert develop materials. But, given the complexities of respirator programs for employers, it does not recommend respirators as a standard practice at oil and gas sites. Busch said they should. He said he hopes the Freemyer case will show oil companies and workers that when it comes to toxic vapors, it's not enough to simply stand upwind. "It's not a big deal for them to wear this supplied air," Busch said. "It was so preventable." Click here to read the ALJ's ruling in the Freemyer case.